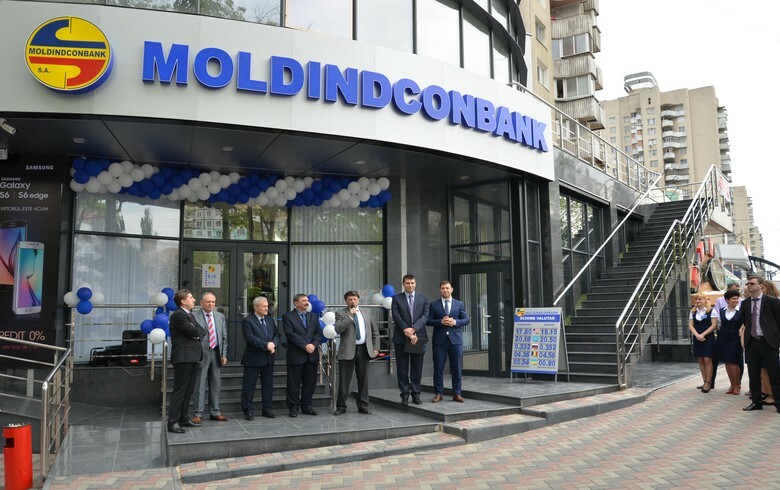 CHISINAU (Moldova), January 23 (SeeNews) - Moldova's central bank BNM said that it has approved the sale of a 63.89% stake in the country's second-largest lender Moldindconbank (MICB) to Bulgarian fund Doverie United Holding [BUL:5DOV]. "The investor expresses his interest in an appropriate period for Moldindconbank, after the BNM decided by law, on 18 January 2019, to extend for the last three-month period the sale deadline of the newly issued shares of this bank. Thus, the sale of the single share package in the amount of 63.89% of the bank’s share capital, will take place for the benefit of the bank’s activity and its further development," BNM said in a press release on Tuesday evening. The takeover of the single share package by the investor will create conditions for an orderly leaving from the BNM early intervention regime, so that Moldindconbank is not to be affected. The bank will continue to operate in normal regime and provide the full range of services, including those related to deposits, lending and settlement operations. According to BNM, Doverie intends to come up to Moldindconbank with a team of managers with a broad international experience in the banking sector. BNM said it assesses the intention of Doverie as a notable opportunity to develop Moldindconbank in the long term and to increase the competitiveness and quality of services provided to its customers. This is not Doverie's first attempt to enter Moldova's banking market. In September 2017, the company also received the BNM's prior permission to acquire the share package of another Moldovan bank but "for objective reasons that transaction was not carried out", the central bank said. BNM has been trying to sell of this stake in MICB since April 2018, when it confiscated it from shareholders that operated in a non-transparent, coordinated way. In October, BNM's board decided to postpone for another three months the sale of this stake. According to BNM's description, Doverie is one of the most important companies in Bulgaria, which was founded in 1996 as a privatization fund with a participation portfolio in more than 20 economic enterprises that operate in more countries of the region. BNM has been trying to sell this stake in MICB since April 2018, when it confiscated it from shareholders who operated in a non-transparent, coordinated way. In October, BNM's board decided to postpone for another three months the sale of the stake. According to latest data posted on the bank's website, MICB's shareholding structure is very fragmented, with stakes below 10% held by various investors. The after-tax profit of Moldovan banks rose 7% on the year to 1.63 billion lei ($95 million/84 million euro) in 2018, according to BNM data. Eleven commercial banks operated in the country of 3.5 million people as at the end of 2018. Moldindconbank ranks second with a profit of 530 million lei in 2018, up from 455.6 million lei in 2017. Doverie United Holding holds 20 companies operating in 6 industrial branches and located in 15 cities in Bulgaria and elsewhere in Europe. In November, Doverie said its consolidated net loss widened to 1.1 million levs ($643,000/562,000 euro) in the first nine months of 2018 from 93,000 levs in the same period of 2017.